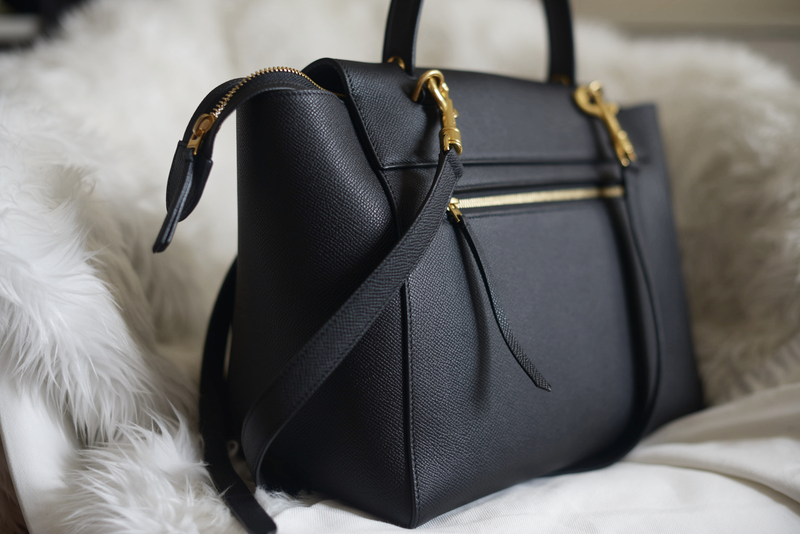 I’ll probably never get tired of black bags honestly, and this Celine Belt Bag is a testament to that. Originally I had a hard time choosing between a white one and this black one, but even my sales associate told me, on multiple occasions, that the black just fits so much better with me. Regardless, I wholeheartedly believe that this is one of Celine’s most underrated bags, and it is beautiful in any color. 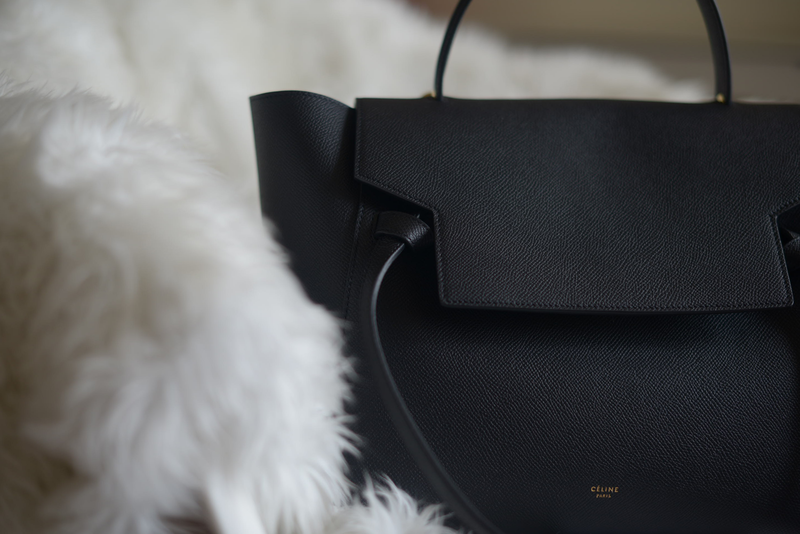 Like what I usually do with all my bag reviews (I know it’s been a really long time since the Chloe Faye), I’ll be talking about what I like and don’t like about this Celine Belt Bag (although it’s pretty much almost flawless, to me). I actually got this one a few months ago, but already have been wearing it as often as I can! To begin, one of the main reasons that I was attracted to this bag in the first place was it’s unique shape (which has kind of lost its appeal to me as my current boyfriend pointed out that it looks like a catfish, haha - stupid boys). I’ve always been a fan of small bags, but this one was just big enough to hold a decent amount of things without seeming too oversized. The fact that it wasn’t lined was something that I was not used to, but I really like the suede inners. 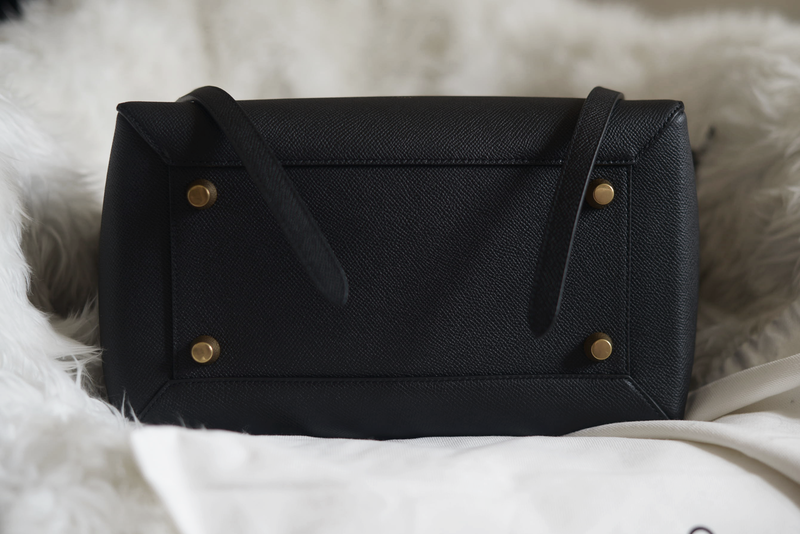 The width of the bag allowed me to carry my DSLR, a laptop and a small makeup bag without it being too stuffed. FYI, there’s a larger version of this Celine Belt Bag -it comes without the shoulder straps and a slightly longer top handle. 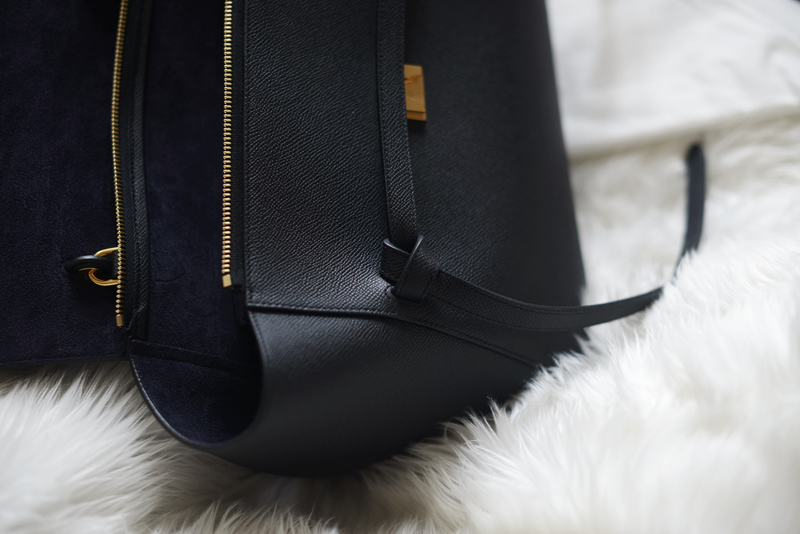 Another part that I really adore about this bag is the tiny gold hardware all over the bag including the small Celine stamp at the bottom in the front. I really appreciate the fact that Celine decided to add feet (the metal parts on the bottom of the bag) to keep the leather from being worn out on the base. 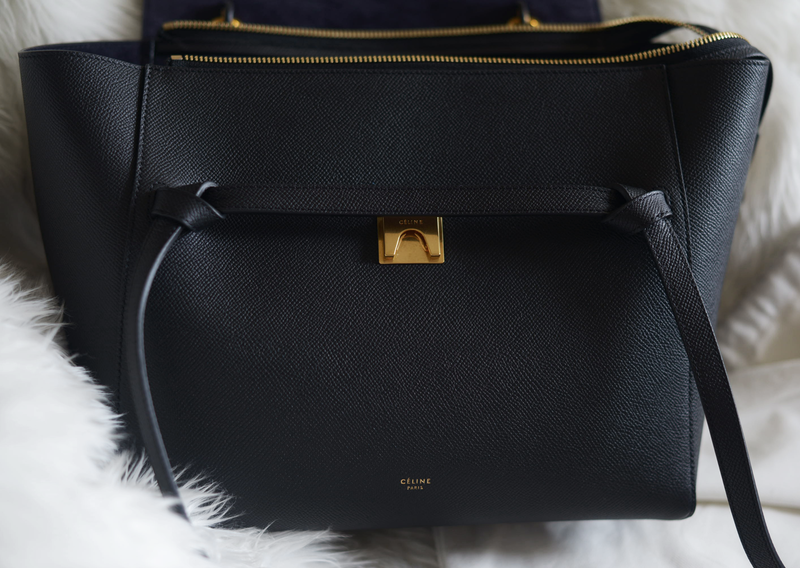 Although the Celine belt bag is near perfection in my opinion, and as much as I love the versatility of the front flap going under or over the belted front, I do find that I often have trouble closing the flap when the bag is more full. I would suggest testing out if this would be a problem for you before you commit, since even closing the zipper wouldn’t really help if you want to carry the bag on your arm. Fortunately for me, the messenger strap drops the bag just enough for my hands to reach the clasp and close it with minimal effort. Overall, I really appreciate how minimal this bag is and one that is unique to Celine’s handbag line as many people wouldn’t even be able to recognize it. 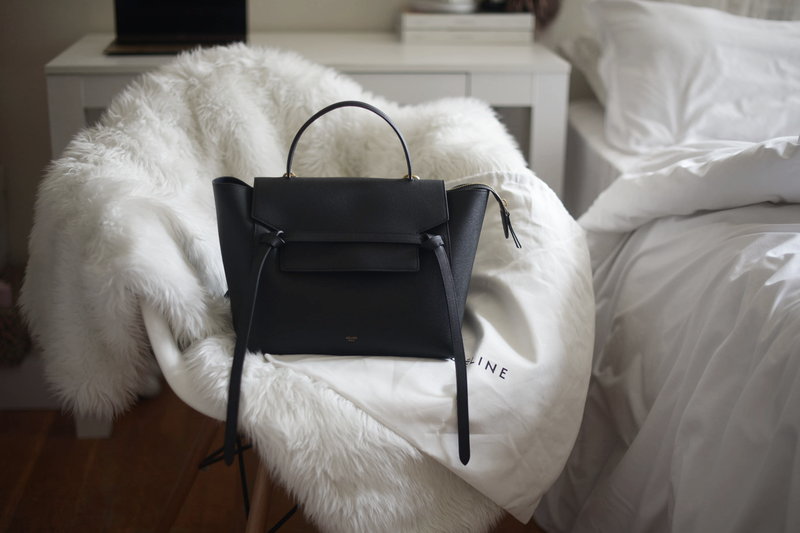 Compared to many of Celine’s classic styles, it is also one of the lightest bags at a decent price point - making this one a must have in my life. Shop some pre-loved versions here, here, here, and here.